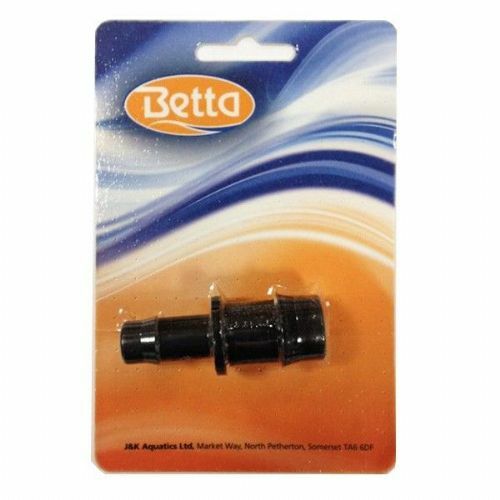 Betta 0.5" BSP Hosetail is used for pumps, with nuts for overflows and many other purposes for aquariums, ponds and others. 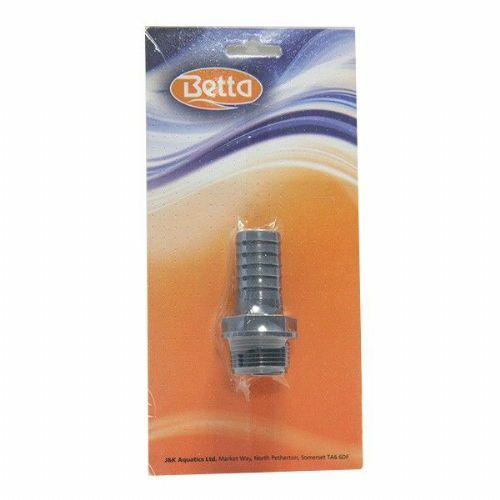 Betta 0.75" BSP Hosetail is used for pumps, with nuts for overflows and many other purposes for aquariums, ponds and others. 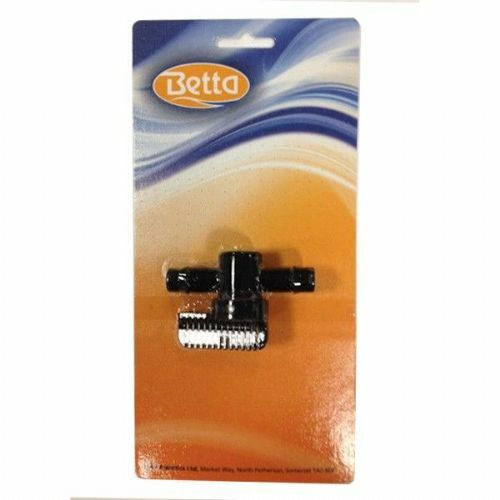 Betta 1" BSP Hosetail is used for pumps, with nuts for overflows and many other purposes for aquariums, ponds and others. 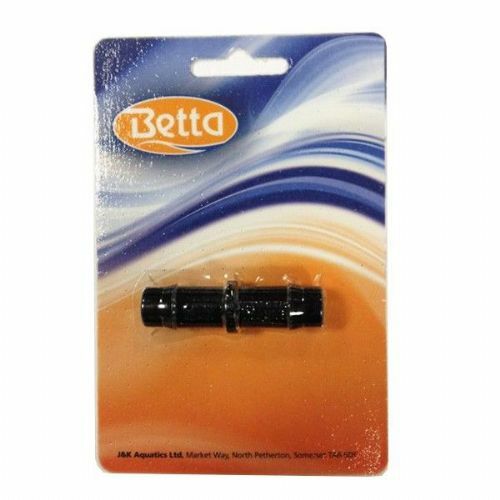 Betta 1.25" BSP Hosetail is used for pumps, with nuts for overflows and many other purposes for aquariums, ponds and others. 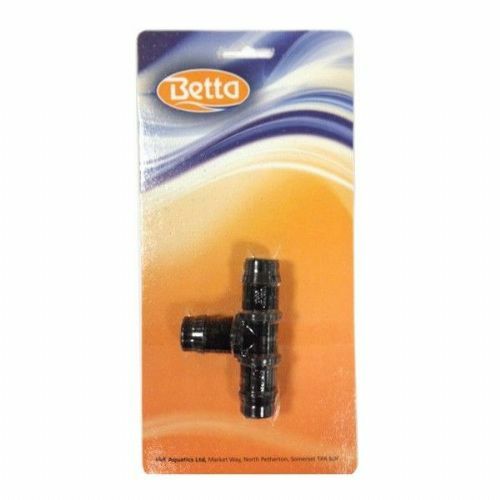 Betta 2 Way Hose Tap is used to separately adjust water outlets and controlling water flow. 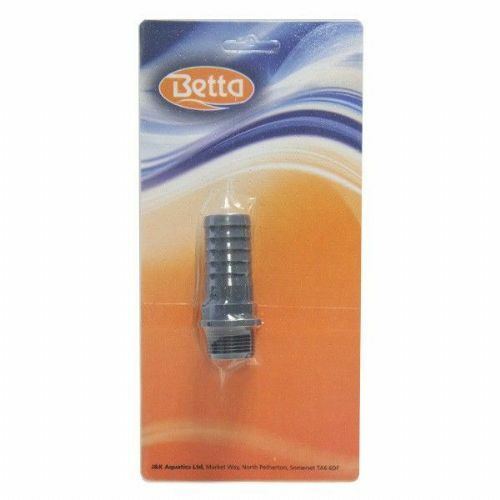 Betta 3 Way Hose Tap is used to separately adjust water outlets and controlling water flow. 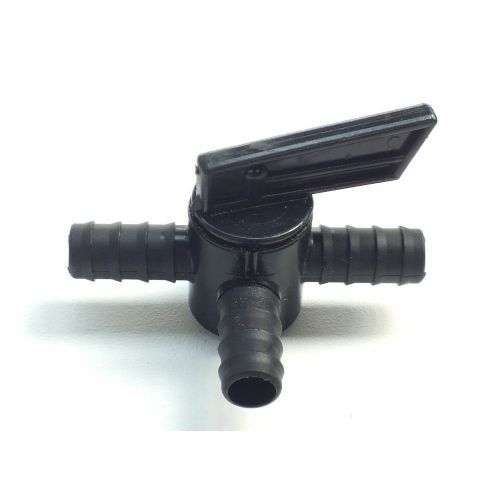 Betta Back Nut is used for securing pipes that are going through a pond or filter wall. 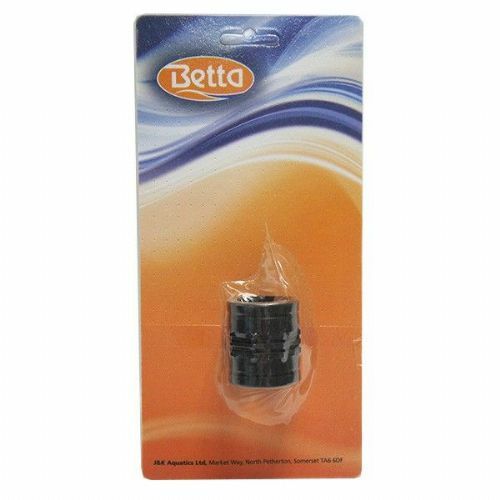 Betta BSP Straight Sockets are used for making joints, repairing pipes and extending pipes. 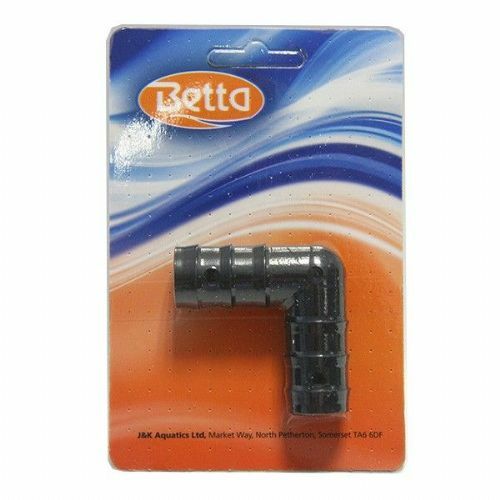 Betta Hosetail "T" Pieces are used to quickly and easily split the flow of water along your pipework. Betta Hosetail "Y" Piece is used to connect two pipes into one pipe or one pipe to split to two pipes. 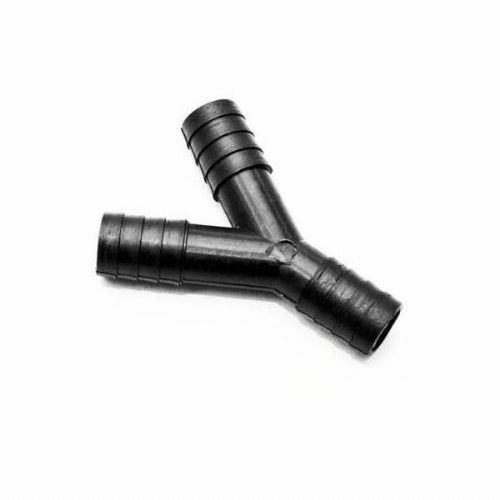 Betta Hosetail Elbow Pieces are black polypropylene hose elbow used for ponds mainly to connect pipes and create a bend for pipes or hoses neatly. 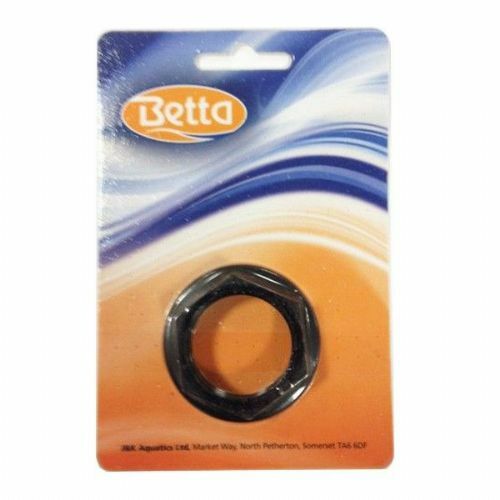 Betta Reducing Hose Mender is used to adjust your pond hose to the right diameter and making the most of your pipework as well as reducing the need to buy new hose. Betta Straight Hose Menders are used for making joints, repairing pipes and extending pipes and many other uses. Valterra 1-1/2" Gate Valve are used for on/off waste valves in filters and to separate filter from pond,to completly shut off flow when required. They are not suitable for flow restriction or control. Valterra 2" Gate Valve are used for on/off waste valves in filters and to separate filter from pond,to completly shut off flow when required. They are not suitable for flow restriction or control.